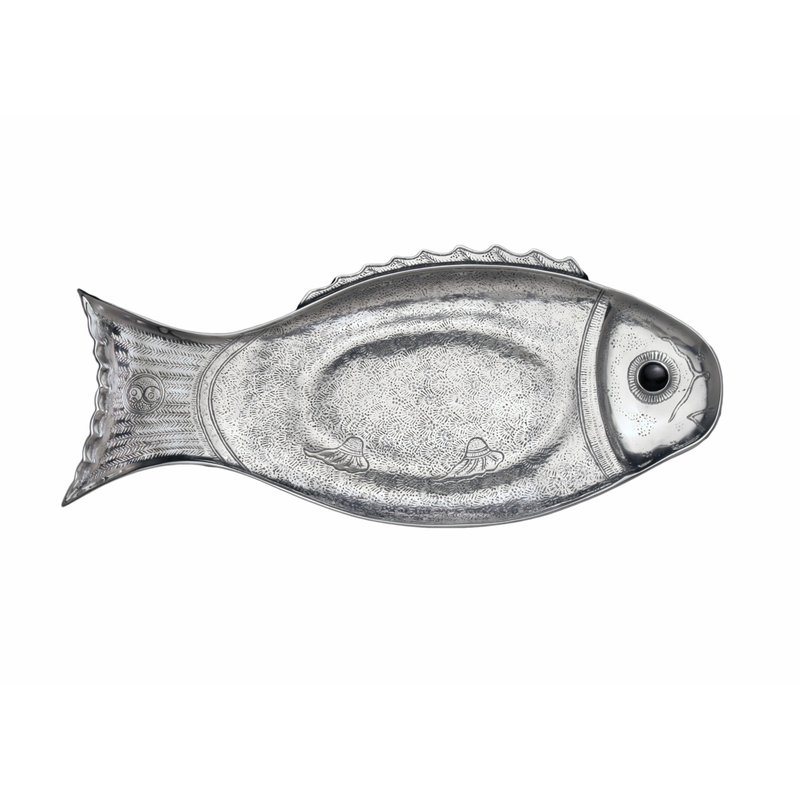 Accent your coastal dining room with the Aluminum Fish Oblong Tray. This tray features a detailed, engraved fish motif for a beautiful addition to your home. This unique piece is designed by Arthur Court.